Thread: Interchangeable rack and pinion between 9g gts and ralliart? I'm currently in the market for a new rack and pinion for my 07 galant ralliart however I'm having a very difficult time finding a place that stocks it specifically for the ralliart edition. Rock auto is usually my go to for parts But They have shown the ralliart rack out of stock for months now. 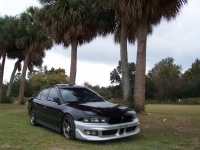 What are the differences between the gts rack and pinion and the ralliart? They show as being a different part number But I can't imagine them bolting up any differently. And are they Interchangeable with each other? You the man, thanks a ton! Was literally 2 minutes away from caving and buying a gts rack and chancing that itd work lol.